Overview… a drug-dealer and general expert on anything concerning the ganja. Silas is practically a scientist when it comes to growing pot. He can sell you any strand of weed to satisfy any need – even, it turns out, the need to study. When he uses his recently deceased friend’s ashes to grow a new strain of herb, Silas realizes that he’s concocted a magical drug. Upon smoking this special blend of pot, Silas manages to conjure said deceased friend’s ghost, who supplies him all the answers to the THC (Testing for Higher Credentials) test. Personality… foul-mouthed and irreverent. 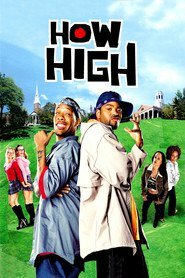 Silas’s street-smart ways are not taken kindly at Harvard University, where he receives a scholarship after acing the THC. Silas doesn’t like the stuffy attitude at Harvard. Most of his classes seem to be filled with all kinds of BS. No matter to Silas, though; he’ll make it to the top of his class as long as he keeps smoking that magical weed. Silas P. Silas's popularity ranking on CharacTour is #3708 out of 5,000+ characters. See our top-ranked characters and read their profiles.